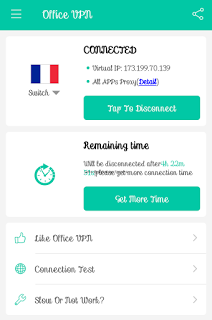 ➽ Launch the VPN and connect it , use any fast server , depending on your strength of the network in your location . ➽You Can Now Start browsing !!!! Note: This does not power all apps , and it can be stable according to the network strength of your location.